Allocine refers to a video sharing site that focuses on French Cinema. It's centered on novelties promotions with Blu-ray, DVD, and VOD information. The site covers all movies that have ever been distributed in France as we’ll as TV series. You can always stream their contents, but if you really want to have a good time, you should download Allocine videos on your devices for offline watching. Below is an easy guide on how to download videos from Allocine. With iTube Studio, installed on your Mac or Windows PC, you can download any videos from Allocine, including film trailers, show times, movies, cinemas, TV series, and much more for free. The software also allows you to convert the videos between 153+ formats and export them to various devices, including Blackberry, Android, iOS and Windows phones, tablets, PC, XBOX 360, etc. 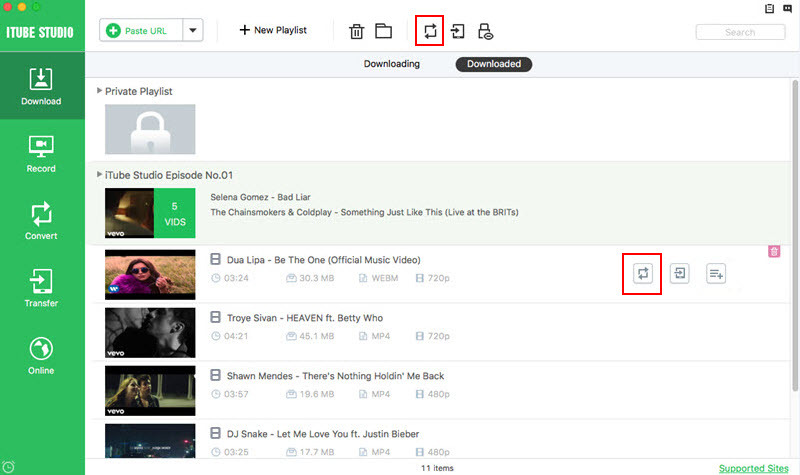 The Allocine downloader supports over 10,000+ video sharing sites such as VEVO, Hulu, Netflix, YouTube and more. Fast downloads any video in HD quality with 3X faster speeds. 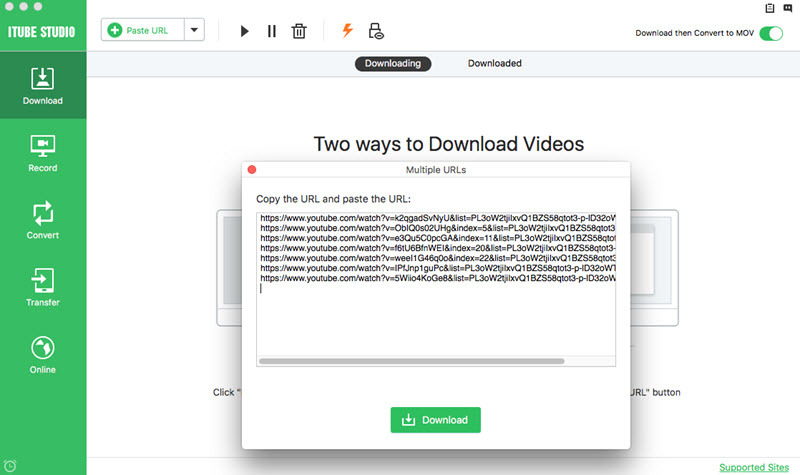 The software comes with a recording feature that allows you to capture the “unable to download” videos. It features a fast video player that you can use to enjoy watching both the download and desktop videos. iOS users can directly export videos to iTunes library and sync them to their devices. Download the program file for the iTube Studio Allocine Downloader. And click and drag the downloaded file to "Application" in order to install it on your Mac and then run the software. 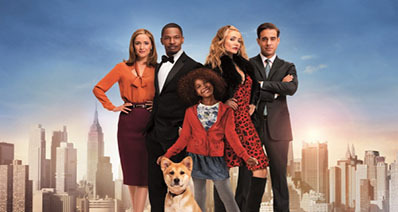 Launch Chrome, Safari or Firefox and sign into your Allocine account. Search for the video that you want to download into Mac and start streaming it. A “Download” button will then show up at the top-left corner of the Allocine video once it’s detected on the web page. 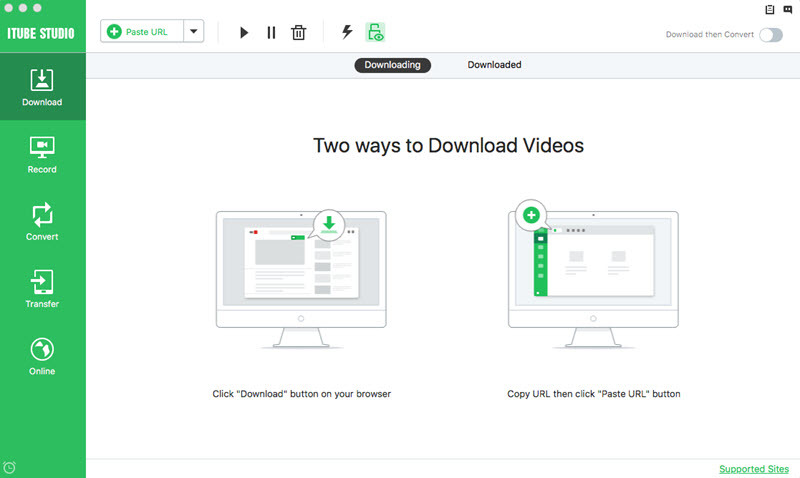 You can directly click the “Download” button and select the video resolution to download the videos. Alternatively, you can copy Allocine video page URL and click “Paste URL” button in the main window. The program will start downloading immediately. You can also drag Allocine video URL to the program's dock icon from the address bar for downloading. If you want to convert the downloaded Allocine to MP4, MP3, click on the “Downloaded” tab and then proceed to the "Add to Convert List" button beside the video. Then in the "Convert" tab, click on the “Convert” or "Convert All" button to select the output format that you want and then click “OK”. There you have it – a comprehensive guide on how to install Hulu App for Android and use it to stream and download videos and movies.